The pictures may be freely used providing origin and/or photographer is stated. In some cases a click on the image leads to high resolution versions. Oskar Bergenheim, drums, Amanda Werne, guitar, voice, Torgny Sjöstedt, guitar, voice, Göran Berg, bass, Thomas Frank, guitar. August 2014. Close to Plaskedammen, Majorna, Göteborg. Togges Band lineup summer 2015. Henrik Wartel, dr, Jonny Wartel, ts, Thomas Frank, g, Torgny Sjöstedt, v, Georgia Wartel Collins, b. 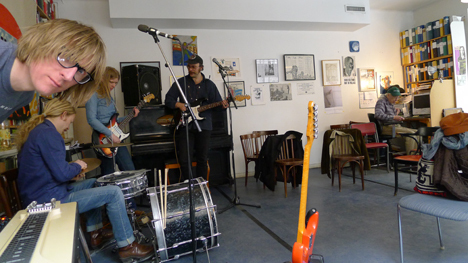 A Stockholm version of Togges Band including prominent Swedish steel guitar player Mathias Danielsson about to soundcheck at the Izzy Young Folklore Center in April 2015. From left to right: Mathias Danielsson, Oskar Bergenheim, Karolina Brännström, Thomas Frank and, by his desk, Izzy Young. 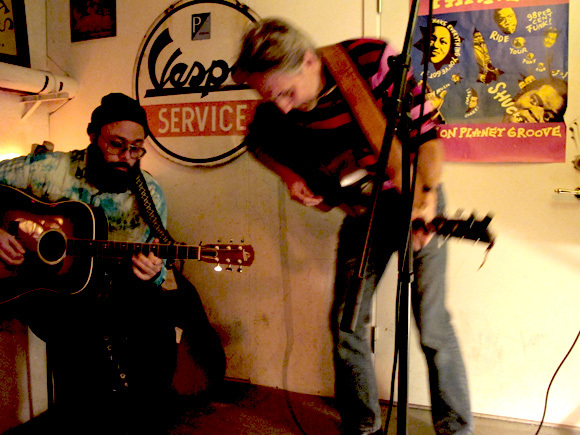 Thomas Frank and Torgny Sjöstedt in Paddy's Bar, Storebackegatan 7, Göteborg. Togges Band. 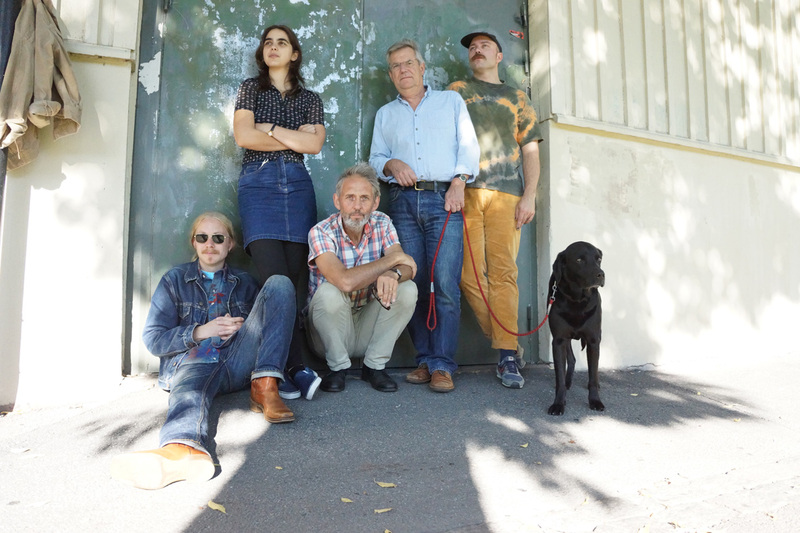 From left to right: Thomas Frank, guitar, Amanda Werne, guitar, voice, Göran Berg, bass, Oskar Bergenheim, drums, Torgny Sjöstedt, guitar, voice. 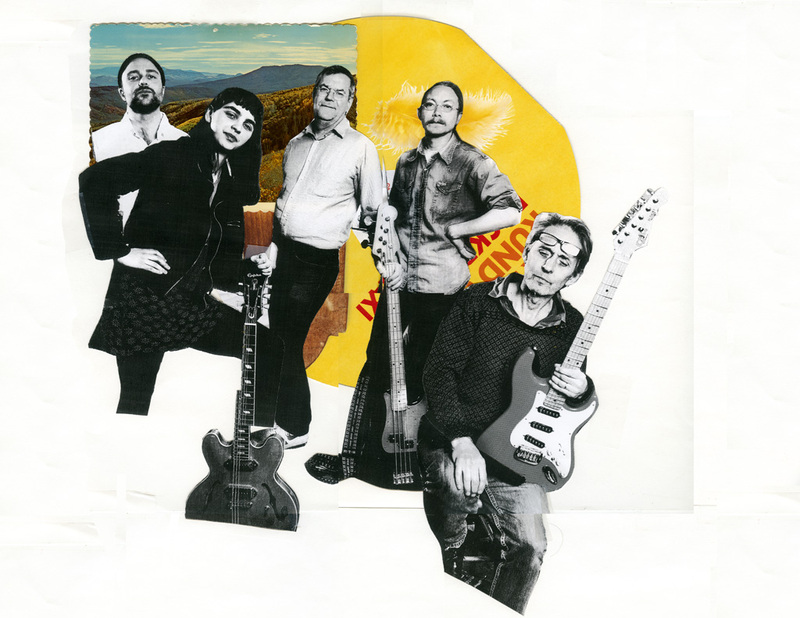 Publicity collage made 2015 from a picture postcard of the Rocky Mountains, an ICA supermarket advertising leaflet and photographs by Nils-Olof Sjödén. 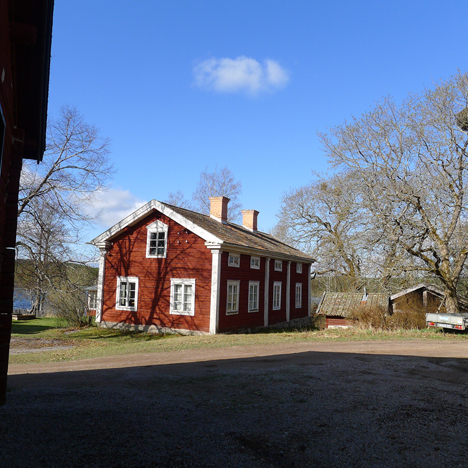 The very special venue in Grönbo, Dalarna where Togges Band played on 25th April 2015.